Nila Aye - What's For Lunch? 'What's For Lunch?' is the latest addition to the award-winning 'Lets-Read-and-Find-Out' series. 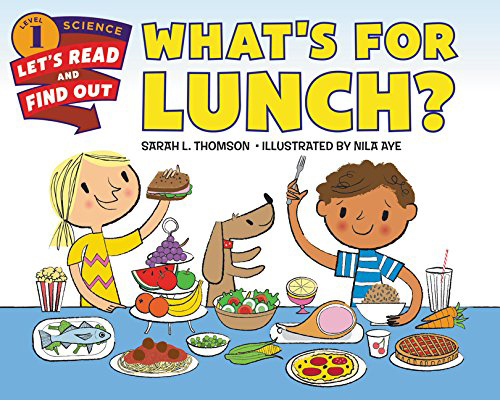 This wonderful book illustrated by Nila Aye and written by Sarah L Thomson, is a guide to healthy eating for children. Nila's fun spreads bring the book's facts to life. To see more of Nila's work, click here. Nila Aye is represented by Kids Corner. Published on 17 February 2016.